Slugs, sometimes given other names such as mates or drones, are a type of unit employed by railroads to increase adhesion and tractive effort for motive power. Technically speaking a slug is not a locomotive since it does not carry a prime mover on-board and thus cannot operate on its own without a "Mother" unit. The concept first began appearing within the industry during the 1940s, mostly for yard service. 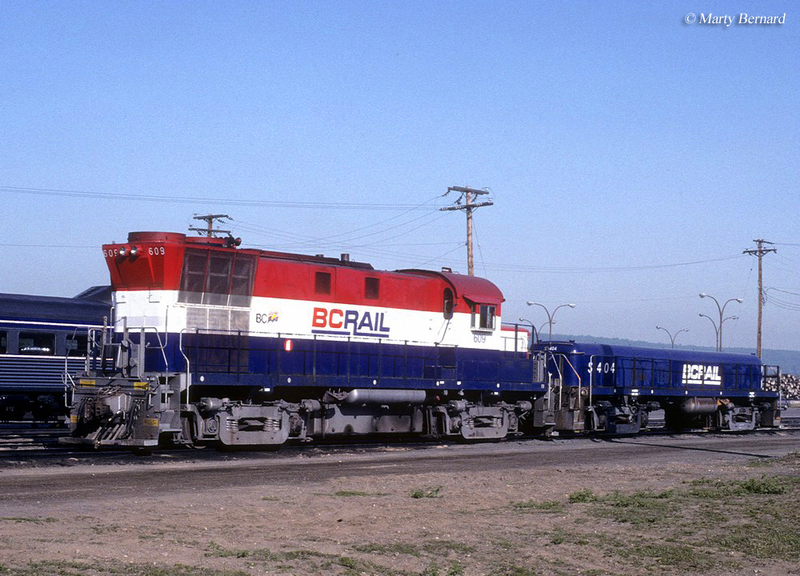 However, that changed in the 1970s when railroads began retiring first-generation locomotives and giving them a second-life as de-powered slugs in general road service (this isn't always the case, however, as some can be purchased new). 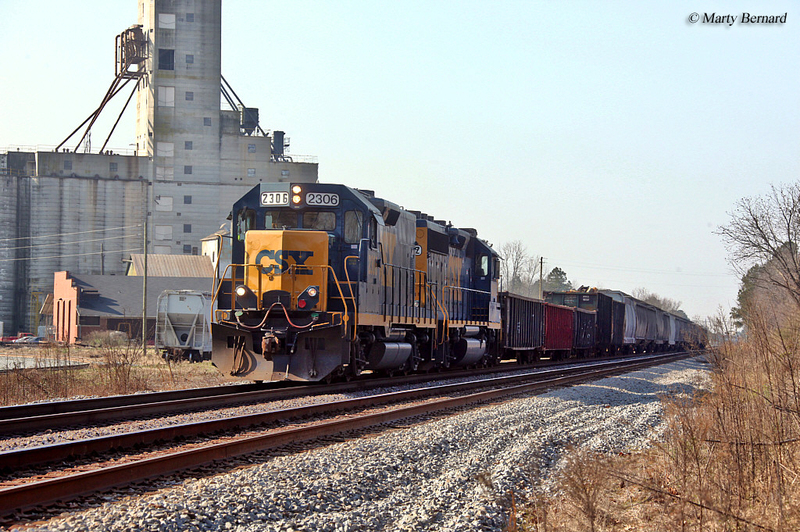 Today, most such units operate only on Class I lines and they have grown in popularity over the last 40 years, particularly at CSX Transportation which currently rosters more than 100 examples. The history of slugs dates back further than one might think, and it certainly is not a relatively new concept. As early as 1915 General Electric was manufacturing what it termed "tractors," an unpowered single-truck type of slug that was used by the electrically operated Butte, Anaconda & Pacific Railway in yard service. However, the true slug was developed by the New York Central just after World War II. The NYC wanted to offer its diesel switchers increased tractive effort in yard service; so it came up with the idea of taking old boxcab electrics, cutting them down to traction motors only, and "mothering" them to diesels. While these early versions could only receive power via one end, the idea worked quite well and gave the switchers much more tractive effort at slow speeds. The name "slug" is a general term thought to derive from the fact that the units (originally) were slow and pulled by a locomotive. After the NYC began its slug program other roads followed; by 1955 the Canadian Pacific, Elgin Joliet & Eastern, Illinois Central, Indiana Harbor Belt (an NYC subsidiary), New Haven, Rio Grande, Southern, and Western Maryland (its BL2s #81 and #82 became celebrities to railfans in Hagerstown, Maryland working the yard with slugs #138T and #139T, which were rebuilt Baldwin VO1000 switchers). 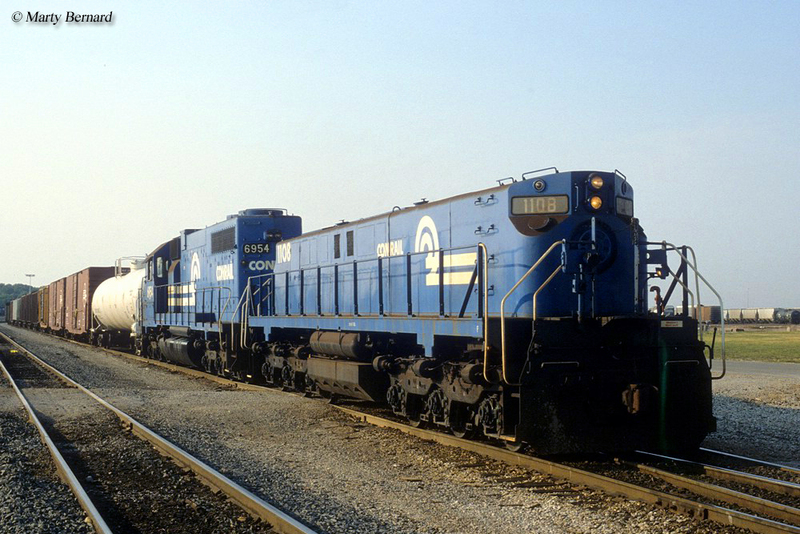 Most of these units were also cut-down from worn out or unreliable first-generation diesels; mostly Alcos, Baldwins, and Fairbanks Morse models that turned out to be not as reliable as Electro-Motive's products. During this time slugs were primarily used in yard service only and sometimes had added ballasting (usually concrete) to increase their tractive effort potential. However, that changed in 1970 when the Chicago & North Western became frustrated with constant wheel slippage problems with its Alco C425s and Electro-Motive GP35s when operating at slow speeds. Along the company's secondary branch lines in Nebraska, South Dakota, and Wisconsin rail weight and bridges were too light to allow heavy six-axle locomotives to serve these regions, limiting only four-axle units which did not offer the same tractive efforts as their larger brethren. To remedy this problem the C&NW stuck a slug between two mother units in an effort to spread out the weight and tractive effort (more wheels on the rails increases adhesion). The idea worked and the railroad began regularly using slugs in general road service. Additionally, after other lines saw the C&NW's success they followed the concept creating today's common road slug. A year later in 1971 General Electric, which had only been offering diesels since the U25B debuted in 1959, began marketing the concept itself in what was known as the MATE or Motors for Added Tractive Effort. With the GE's version the builder actually advanced the slug idea by offering a unit that could operate at higher speeds in road service as well as provide fuel-transfer capabilities to the mother. A few years later in 1973 locomotive builder Morris-Kudsen began marketing its version known as the Tractive Effort Booster Unit or TEBU. For the most part, however, railroads found it most economical to simply build their own slugs and some like the Santa Fe even gave them their own name, the Drone. It should be noted that a slug is neither a cabless booster unit (which has a power plant but no cab controls) nor a cow-calf setup (which is basically the designation for a diesel switcher and its cabless, B unit). Interestingly, the latter became popular during the 1940s and 1950s but railroads slowly lost interest as the slug concept came into practice. Most slugs were built as, or rebuilt into, four-axle designs. However, some roads like the Norfolk & Western took Fairbanks Morse's powerful six-axle Train Masters and cut them down into slugs for yard service between Roanoke and Bluefield (one of these units still survives and there have been grand ambitions to rebuild it into a working Train Master). Over the years railroads have gradually improved upon the slug concept. Today, many include common locomotive features such as dynamic brakes, cabs (and controls), and fuel tanks; essentially the entire locomotive carbody and many of its components aside from the prime mover. Of all the major Class I systems, CSX has taken this concept the furthest; rebuilding old GP30s and GP35s into road slugs. The units, completely repainted, can fool someone who is not aware into believing the railroad still operates, for instance, classic GP30s. For more reading about the slug please click here. Since they still retain full cab controls the units will even run on the head-end, which can be particularly confusing. According to Trains.com, CSX currently rosters more than 130 road slugs, which is said to be the largest such fleet currently in service. Finally, if you would like to understand the slug concept, and its history entirely, I would strongly recommend finding a copy of "On The Road: Traction Motors Without Prime Movers" by Norman E. Anderson from the July, 1984 issue of Trains. This article not only aided greatly in providing much of the historical information presented here but it also goes into great detail of how slugs operate, their advantages, and how railroads have employed them in service over the years.